“What am I going to do with these millions of knobby root vegetables?” you may find yourself muttering as you schlepp 15 plus pounds of them home on CSA pickup nights. The truth is, there is so much to be done! When stored well, the vegetables keep for weeks and they’re versatile enough to be transformed into breakfast, lunch and dinner. All it takes is a little kitchen rearranging, a well-stocked pantry, a few key tools and some basic cooking techniques. With the right conditions, a cool, dark corner of your kitchen for potatoes and winter squash and your refrigerator for the other veggies, you can keep the share fresh for weeks. It’s a good idea to take some time to create the space in advance before you get home on share nights, that way you won’t be scrambling. Clear out a lower cabinet or drawer in an area of your kitchen that isn’t likely to get warm and place a bin there to store potatoes and squash. No need to buy anything new, just salvage a cardboard box leftover from holiday shopping. Use the monthly opportunity to go through your fridge and discard items that are spoiled. If you can, clear out a crisper drawer completely to unpack and store carrots, turnips, beets and leeks. In order to get the most use of your winter share, it’s a good idea to stock your kitchen with some pantry essentials so you can easily turn those hard spheres of roots into a delicious and healthy meals for your family, even on a weeknight and short on time. Make sure you have some cans or jars of chopped tomatoes & coconut milk to easily make soups and stews and to bulk up the soup into a hearty winter meal, have some small, dried lentils or split peas on hand which will cook at the same time that you’re simmering the winter veggies, even if you forget to soak them in advance. As always, stock your pantry with onions and a head or two of garlic and buy a nice size knob of fresh ginger for your crisper drawer. Make sure you have olive oil that’s not rancid (check the date and give it a sniff) — olive oil should be stored in a dark bottle and will keep for 12-18 months. If you eat cheese, buy a good quality (not pre-shredded) hard rind cheese like Parmigiano Reggiano or pecorino since they’re great grated over the top of stews and work double duty as you can throw in the rind into your pot to flavor a batch of soup. Kosher salt and fresh peppercorns in a peppermill go a loooong way, if you’ve been using ground pepper until now, I suggest you upgrade. So, what are you going to cook all this IN? Any good, heavy-bottomed pot will do and if you have an Instant Pot (or counter top pressure cooker of any brand), you can really cut cooking time down. Make sure you have a large, sharp knife to break down the hard veggies; if you’ve never had your knives sharpened, do it now before you have pounds of huge tubers on your cutting board! 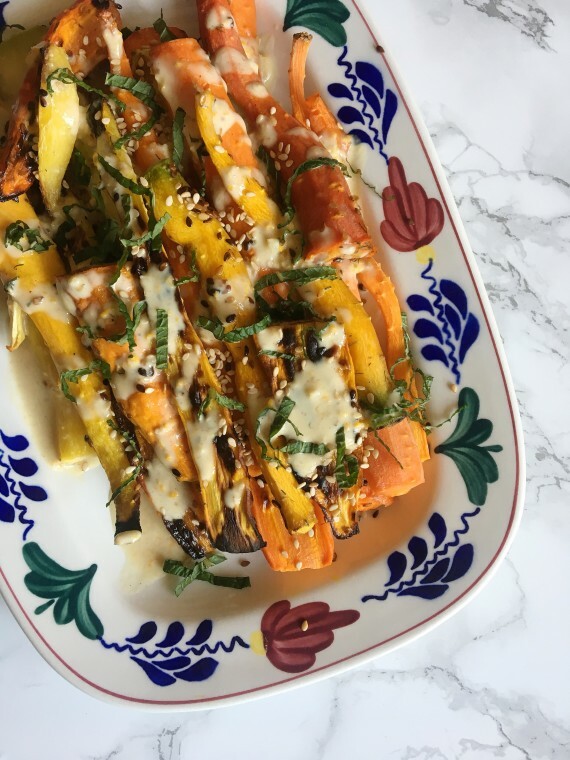 Industrial aluminum sheet pans are the best way to roast veggies in your oven. Get the largest one that can fit in your oven so that the veggies don’t crowd and make sure you have parchment paper or a silicone baking sheet to line the pan. 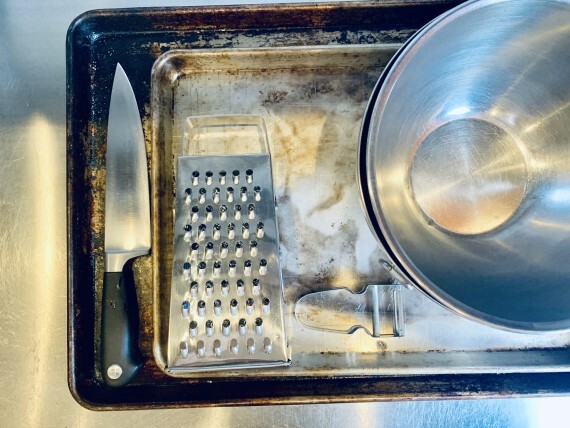 A sturdy U-shaped vegetable peeler will make quick work of the thick skin of the winter veggies, and a box grater (or shredding attachment for a food processor) will shred veggies to use in slaws, muffins or fritters. Finally, make sure you have a couple of large bowls to evenly toss chopped veggies with oil before roasting. In terms of how to turn the pounds of veggies into easy meals, I like to think in terms of techniques instead of actual recipes. There are a few methods that work well with almost anything on the root-vegetable spectrum from sweet potato to watermelon radish to rutabaga. 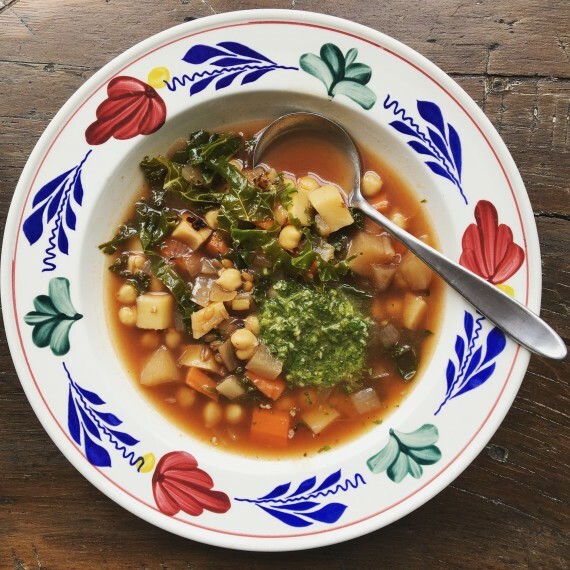 Winter share veggies lend themselves to pureed soups, but you can also use them as a base for a chunky stew. For a smooth soup, start with any peeled and chopped root vegetables together with onion, garlic, salt & pepper in a pot, cover with water or stock and cook until the veggies soften up. Yes, you can add a can of coconut milk, fresh ginger and/or a spoonful of curry powder/paste, and yes you can add any dried (or fresh) herbs that you have on hand, but the process remains the same. Once the veggies are cooked through, puree in a blender, re-season with salt and pepper and voila: Winter Veggie CSA soup. 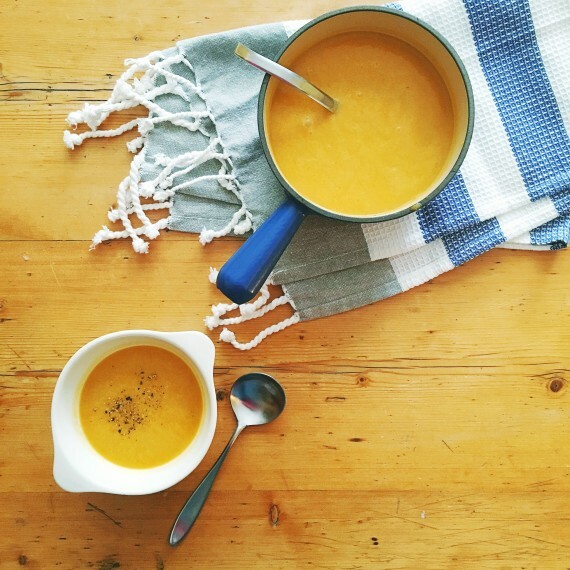 This soup can be served warm or, since it freezes well throw a container of it in the freezer and you’ll have a chilled summer soup on hand for a balmy night next summer. To make a heartier stew, throw chopped veggies, a can of chopped tomatoes, onions, garlic, salt, pepper, any dried herb and a hand full or two of dried lentils into a pot with water to cover. Cook until everything is soft, throw in some washed and chopped kale or other green, top with freshly grated Parmigiano Reggiano and eat with a slice of crusty bread. 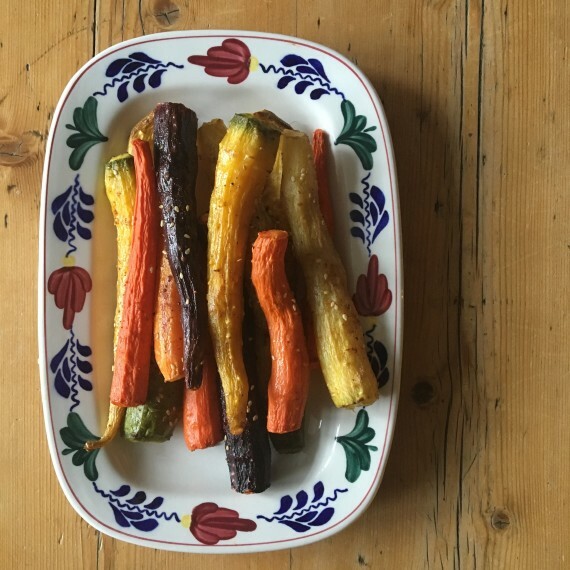 For roasted vegetables, toss peeled and diced vegetables with oil, put on a sheet pan and season with salt and pepper and roast at 400F until done. 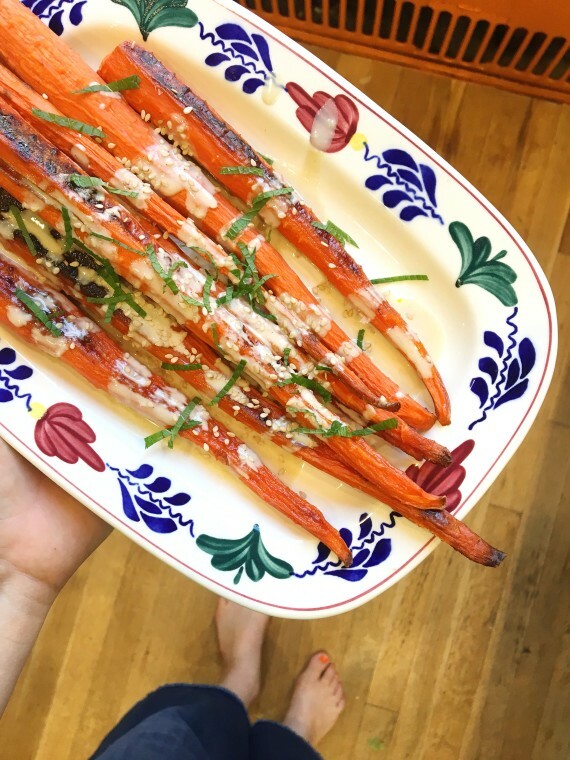 You can mix different vegetables together, just make sure they’re roughly the same size — they can be diced or sliced, if you haven’t yet, try roasting carrots whole. And finally, shredding breaks down root vegetables to make slaws, to muffins or fritters. I like to use shredded carrots to make a cumin-y carrot slaw. It’s pungent with a hearty dose of garlic, fresh lemon juice and toasted whole cumin seed. Root vegetables are hearty, and these slaws keep for a few days in the fridge without wilting. For muffins and fritters, you can substitute any shredded root vegetable for zucchini in any muffin or fritter recipe. We make a large batch of muffins for the freezer every few weeks for an easy breakfast on busy weekday mornings. So next share pickup night, don’t despair! If you store the veggies well, you’ll have weeks to create a huge variety of vegetable-forward meals. 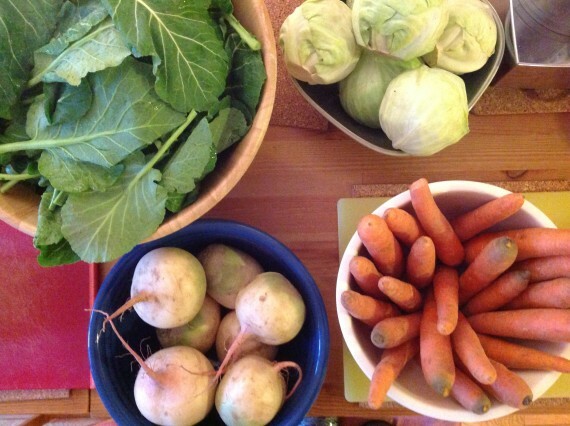 What’s your favorite way to cook the winter vegetables? Any other tips to share? 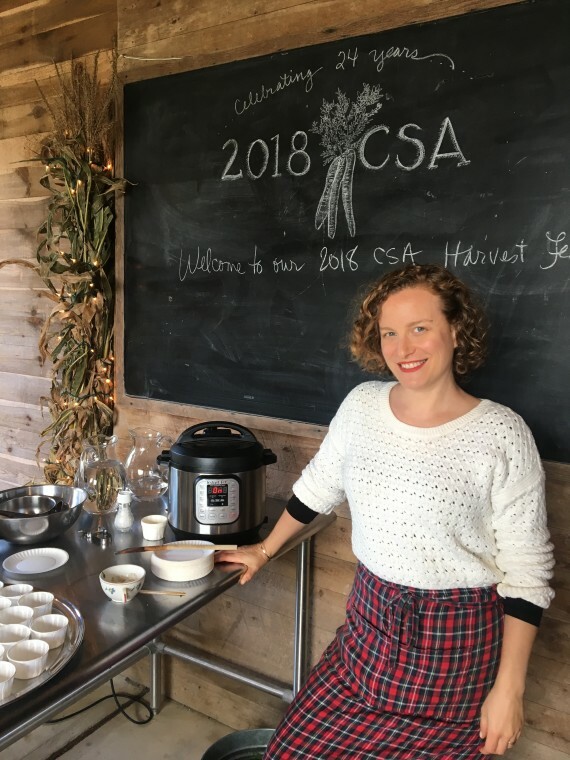 This article was written as my volunteer requirement for my winter Golden Earthworm Organic Farm CSA, Forest Hills CSA and will also run on their site. My usual CSA didn’t meet our minimum for a winter CSA, but I’m lucky to have 2 Golden Earthworm options locally! Every October the farm that grows our CSA’s veggies, Golden Earthworm Organic Farm, opens their gates to CSA members for a day of field tours, cooking & farm demonstrations, games and playing. One of the many reasons I love our CSA is because I feel a closeness to not only where the food is grown, but to who is growing the food. 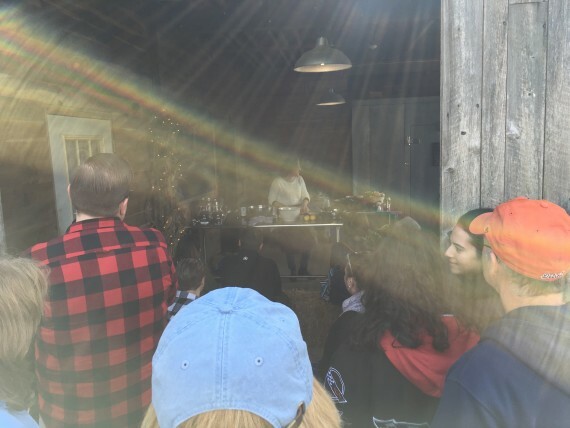 That we can visit the farm, which is a bit under 2 hours away on the North Fork of Long Island, and say thank you in person to farmer Matt and his wife Maggie makes the veggies taste that much sweeter. For the past 8 years, I’ve been humbled to be asked to lead a cooking demonstration at their Harvest Fest. This year I made an Instant Pot lentil soup with tons of Golden Earthworm veggies (a great soup to use during winter CSA season!) and a creamy sesame kale salad. The added bonus is that I got to hold the demo in a converted barn (this years demo was standing room only!) 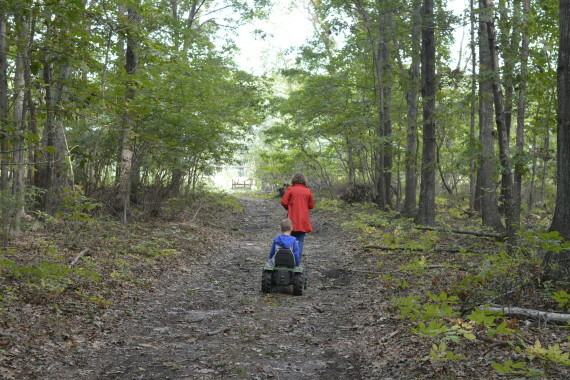 and was only one of the fun events in the midst of a beautiful, bustling fall day that includes hay rides, face painting, farm tours and delicious food and treats. Thank you Golden Earthworm for including me in this amazing day! This delicious, hearty salad is sturdy enough that you can make it in advance and it will keep in the fridge for a few days. Feel free to use any type of kale or even collard greens. 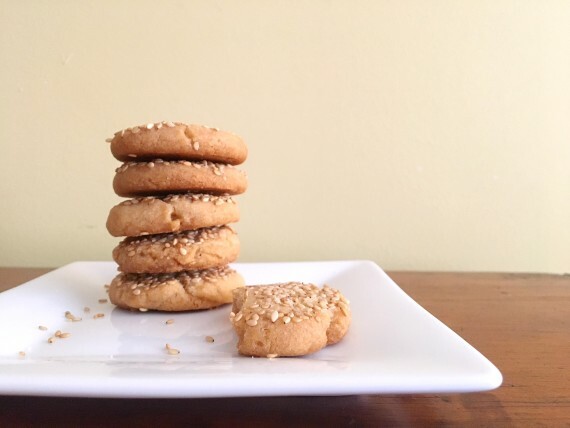 Play around with the ratios to make the tahini more garlicky or lemony. If you happen to have preserved lemon, throw some in! In a large bowl whisk together the tahini, lemon zest and juice, sesame oil, vinegar, garlic, olive oil, salt and 1 T water. Whisk until smooth, adding more water by the tablespoon until you get the right consistency. Heat a skillet over medium-high heat. 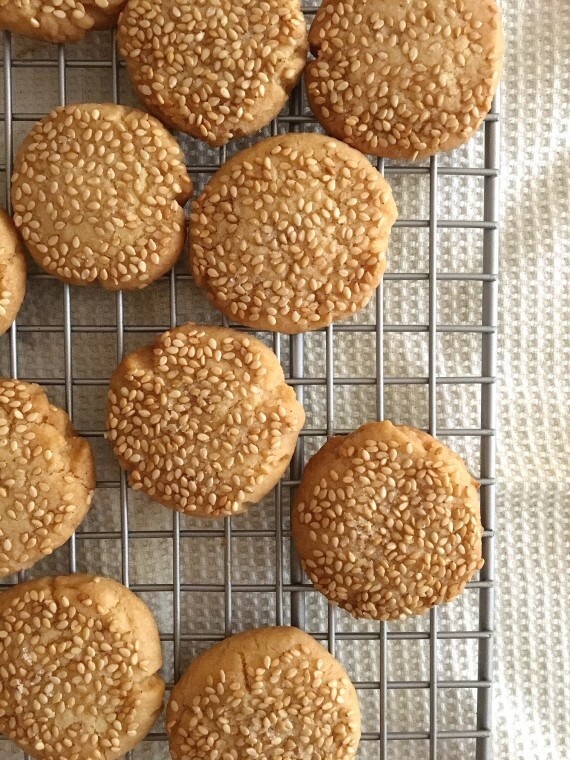 When hot, add the sesame seeds, taking care to keep tossing them so they don’t burn. Once they start to pop, remove from heat to a plate. 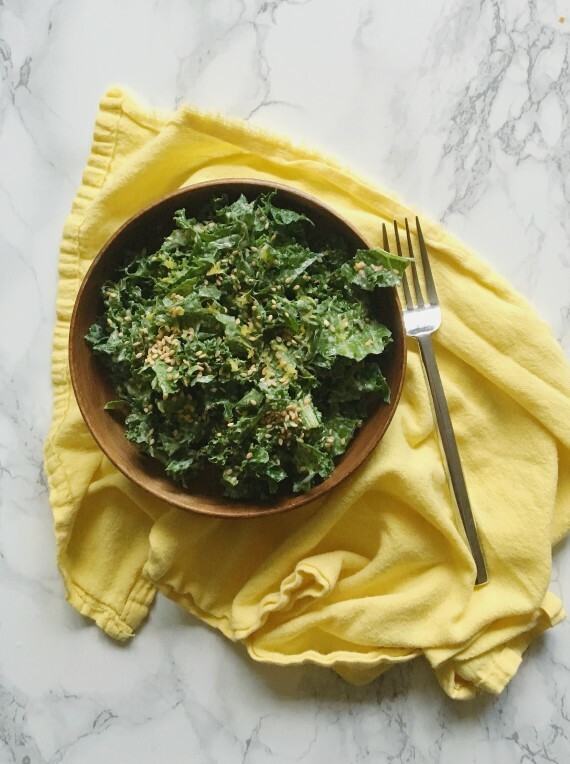 Transfer kale to a large mixing bowl and add tahini mixture and ¾ of the sesame seeds. I find this salad mixes easiest with my (clean!) hands — mix well until the sauce coats all the kale. Taste and season with salt and/or more lemon juice or zest. 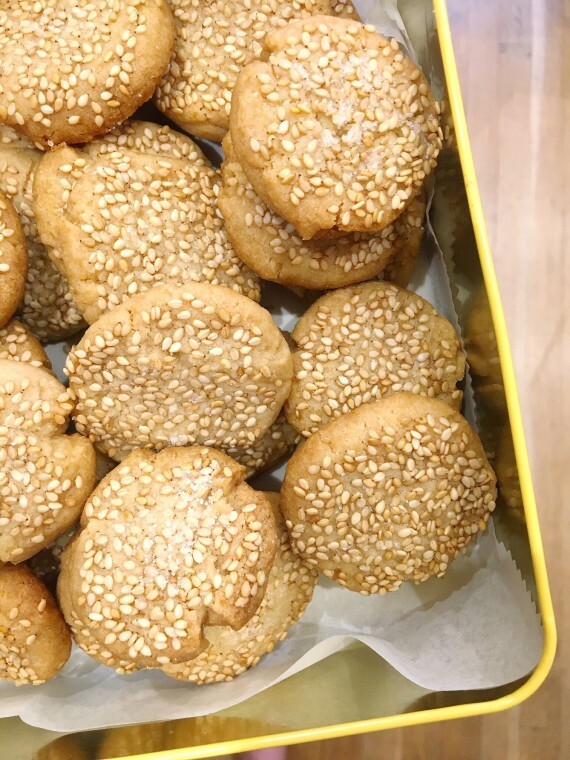 Serve in a bowl garnished with the remainder of the sesame seeds. If you have an Instant Pot or pressure cooker and haven’t yet mastered how to work it or what it can do, this soup is for you! 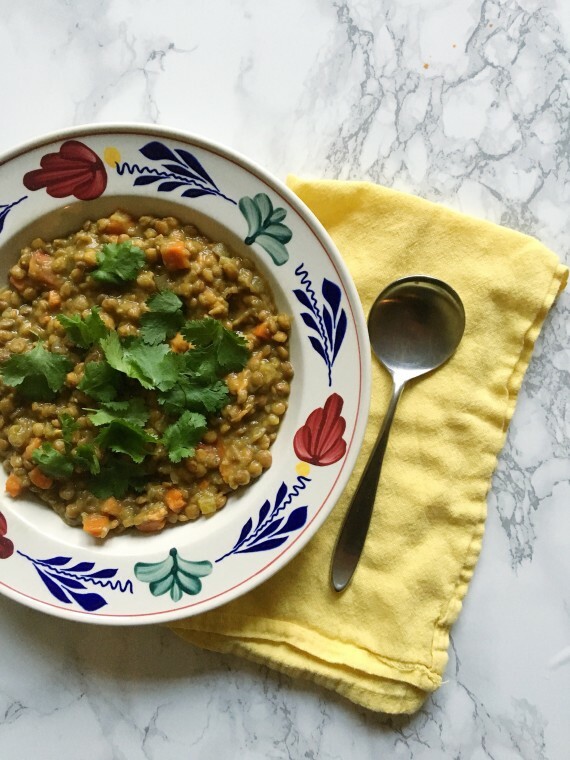 Lentils (even unsoaked lentils) cook up well in the Instant Pot in under 10 minutes, and this soup is a great way to use up many of the CSA share’s veggies creating a healthy, hearty soup. The trick is to cut all the veggies into medium-small uniform-sized pieces so everything cooks (but doesn’t overcook!) in the 8 minutes under pressure. Play around with the seasonings if you want more or less curry flavor, or leave it out completely – it’ll still be delicious! Set Instant Pot to sauté function and when hot, add olive oil and onions/leeks, sautéeing until translucent. Then add garlic, carrots and celery (and other all veggies except sweet potatoes) and continue sautéeing, tossing with a spoon so the garlic doesn’t burn. Season with salt and pepper. Add curry powder, toasting for 20 seconds. Add drained lentils, sweet potato and add water water to cover by 2 inches. Cover, switch release valve to pressure, and set to cook on high for 8 minutes. After naturally releasing steam for 3-5 minutes, manually release the steam and taste the lentils. If they’re not done, cover and set to pressure for 0-1 more minutes. Reseason with salt and pepper before serving and top with chopped cilantro or parsley. 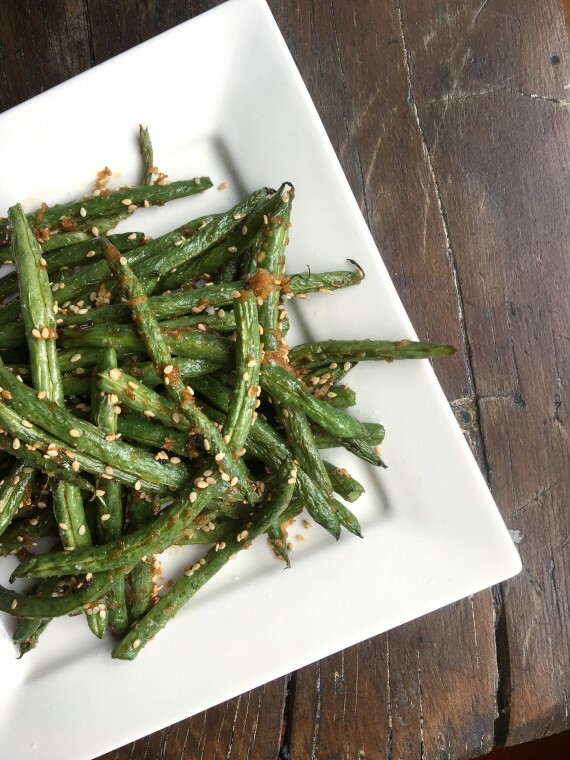 You know those addictive sweet, sesame Chinese restaurant “dried green beans”? Well, these are them but better, not fried and so, so easy. This season’s Golden Earthworm CSA has delivered week after week of tender, organic green beans. Honestly, I’ve mostly been snacking on them raw but last week we received 2 bags of them and I decided to branch out and try my hand at re-creating those addictive, Chinese green beans at home. Well, let me tell you they were so easy and the final result was very true to the beans I was craving. Toss green beans with EVOO and place on a parchment-lined sheet pan; season with salt. Roast. Meanwhile, mix ginger, garlic, tamari, mirin, sesame oil. I used about 1T grated ginger, 2 small garlic cloves, 1T tamari, 2t mirin and 1t sesame oil, but you may want it less gingery or sweeter (up mirin for sweetness). When green beans are bright green and slightly wrinkled, pull the pan out and toss the green beans in the bowl with the sesame mixture. 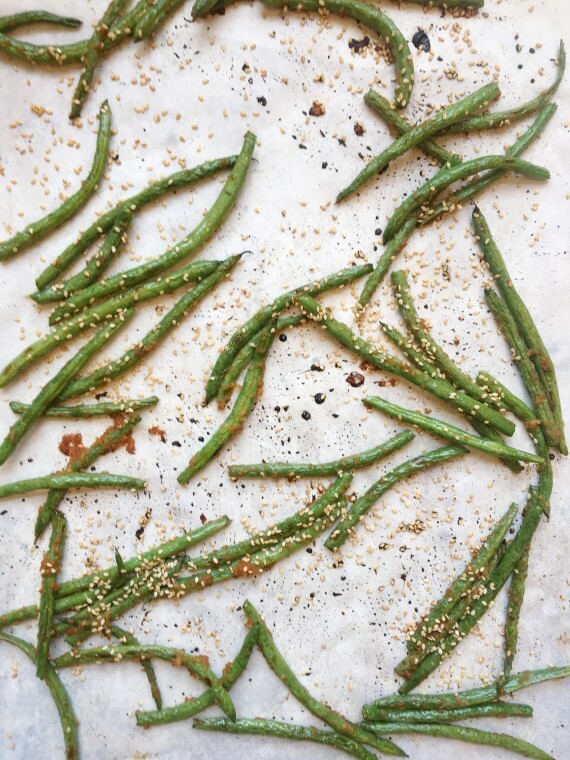 Place green beans back on the sheet pan, sprinkle with sesame seeds and roast for another 10 minutes or until they look caramelized.